I’ll let you in on a secret. I don’t often get invited to parties. I’m not sure if it’s because as a personal trainer people are worried I’ll stand by the food table knocking the food out of people’s hands like an angry bear defending its young or if it’s because my clients are worried I’ll spill the beans on the juicy gossip they share with me (trust me, ask any personal trainer — conversations can get very therapy-esque at times). You really think I’d do this at your party? Okay, maybe I would. When people do discover I’m a personal trainer though, the conversation usually goes to “I was thinking of trying (insert workout name here), what do you think of that?” Which is an impossible question to answer without having the crucial information needed to make a recommendation — and I’m not talking about their injury history or current fitness level. I’m talking about important things like how they fold their napkin, if they prefer travelling with a guide or by themselves and whether they have a favorite movie they like to watch on rainy weekends. Hang on, let me backtrack. To know what workout is best for you, it’s important to ask a few important questions to yourself first. These break down into the following personal styles: repetition, clarity and attention. Repetition: Because some people prefer repeating themselves repeating themselves. Are you the kind of person that loves doing the same workout again and again? 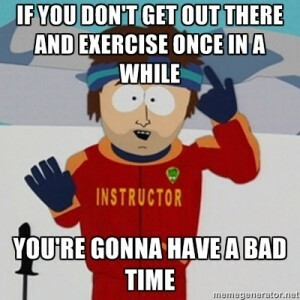 Or do you get narcoleptic at about rep 6 of your 20-rep warm-up set? I play guitar (well, ‘play’ might be too strong a word for it if you go by my family’s reaction any time I decide to have a bit of a strum) and I personally love learning pieces of songs. The opening part of “Stairway to Heaven,” the chorus part to “Wonderwall” and scattered pieces of some Janis Joplin classics (for good measure). My wife (a natural singer) insists on learning a complete song all the way through from start to finish. She loves predictability and knowing exactly what is coming next. We both enjoy different types of workouts as well. When choosing your workout, ask yourself this: will this workout be different enough to keep me entertained and interested? Or alternatively: will this workout be so different that I’ll feel frustrated, bored and develop a general hatred of whichever instructor is teaching this class? Clarity: You want me to put my what, where? Think about when you learned to drive, skydive or use your new smartphone. Did you read the instructions? Ask lots of questions? Want to make sure you knew “the right way” to do things before you got started? My wife gets frustrated at me when I look up our destination before we leave the house. “We’ll figure it out on the way,” will be her impassioned cry as I slowly tap our full destination into my laptop before painstakingly printing every last page of the directions. Before going snowboarding I watched over 4 hours of YouTube videos on “how to turn.” My wife prefers the more direct method of becoming one with the snow as quickly as possible and learning her way vertical from there. Personal Attention: It’s not just for sleazy trainers anymore. My personal training clients are usually the kind of people that would also pay a bit extra to join a guided tour when they travel, a buy a few more books to learn about where they’re going, be a little more focused on how welcoming or helpful the people are like at their destination. They like being taken care of and are willing to pay the extra for it. You don’t need to have “personal training” money to receive personal attention — a variety of options exist such as the fast-growing “small group personal training” concept. And really, watching to see what instructors are correcting and encouraging people to do can tell you a lot about whether or not they would be a match for your personal preference. Remember that every day people drop out of their workout routines — the reasons above are just a few of the motivating factors. Choose your workout to suit your personal style and you’ll find yourself enjoying your workout classes significantly more. And you’ll likely be surrounded by a community of people that feel exactly the same way! 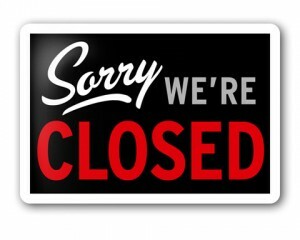 Bodylab Denver closed down today. I’m now sad. I’ll be honest, at first a part of me was kinda secretly happy. Their fitness studio was on 9th and Lincoln (8 blocks from us) and starred Matt D’Amico, a personal trainer with a huge amount of passion and enough tattoos to make a biker jealous. He oozed cool, drank tequila shots after sessions, lived a life of freedom some trainers would love to have. His studio also offered small group personal training, so were kinda our competition. I mean, in the Denver downtown area we were both seen as the premier place to go for small training groups (they had 1-6, we have 1-8). The Bodylab Denver studio closing meant that there was one less competitor in the area, one less club for me to worry ab0ut competing against us. Reason #1: Bodylab Denver being open was actually good for Denver Fitness and personal training in general. Now before you go barging in with all kinds of accusatory statements about poorly performed box jumps or rampant alcoholism (I’ve read the blog posts, I know what’s what), I’ll say this. Some people NEED to be given strict instruction and a ‘no retreat, no surrender’ ultimatum. Hell, it’s part of why the ‘anti-gym’ existed back then – to get people fired up. Some people NEED the kind of approach we offer at Bonza, and others need the hand-holding-care-bear type mentality of a Curves or a Planet Fitness. Now the owner of bodylab, Matt D’Amico was smart enough to take out the whole ‘cupcake throwing’ concept that the Anti-Gym was well known for (yeah, really. Google it – I’ll wait…), but kept the ‘do it or fear mild levels of humiliation and judgment’ piece – WHICH IS OK. Some people need that driver to get themselves into great shape. I respect that and Denver fitness needs it so they can get what they want. In short, the more small studios we have offering unique and individual branded workouts and fitness stylings, the better. What did you want, a Denver fitness scene full of stepford wife trainers? Reason #2: Bodylab Denver being gone means less people can experience what small group personal training is. Let’s get one thing clear. Small group personal training is hard. You have to commit to a small group of people, which means you have to charge more than the big box clubs that are packing people in like they’re sardines and charging less money. You have to be ultra focused on giving a high amount of attention and care to each person in the class. If you don’t, then you’re just another clipboard cowboy counting reps and watching the clock. So I’m sorry that the small group personal training model didn’t work for them – I truly believe in that model and not many clubs in Denver offer small group personal training. Especially not small personal training studios. Sure, their system seemed to encourage the ‘insult your heritage and sexual orientation if you can’t lift that weight’ side, but I can understand that some people need that. At Bonza we kinda prefer leading people with enthusiasm and we never say things about their momma and we seem to get the job done. But maybe I’m missing something. Like your man-card… no, no. That doesn’t feel right. Apologies to you and your man-card. Reason #3: BodyLab Denver was one of the little guys. We need more little guys. Even though our workout styles are fundamentally different in approach, we both got results. Even though we both had different approaches to our members, we were able to find people that loved what we did. We both paid attention to our members, treated them like individuals, at the very least. Big box gyms don’t have that. They can’t. They’ve got to have 3,000 members or shut the doors. I don’t know about you, but we’ve capped our downtown membership at 250 members. We’re not there yet, but in the meantime we have a small enough membership to actually know our people – their joint issues, their goals, the things they want us to bug them about when they come in to class. But they’re a little guy. We don’t need little guys shutting down. We need little guys opening up so there can be more trainers trying to show the world how awesome fitness and health can really be. We need people like you to show up and try them out. You don’t have to stay three, but go try it out so you know and can tell other people about it when they ask. Each fitness studio is as different as a snowflake, and when you find your match, you’ll know what it means to truly love your workout. 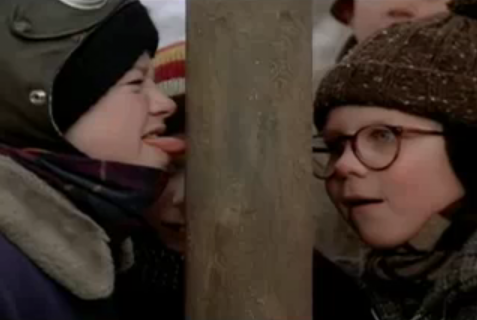 snowflake on tongue beats pole on tongue every time. So by bye, Bodylab Denver. You were a ‘competitor’, but at least you were a competitor that believed in the small group training methods, and you didn’t sell out. You decided who you were going to be and you stayed that way the whole way through. If anyone out there is a small fitness business owner and wants to have a drink (and by drink I mean organic fair trade herbal tea, of COURSE!) and just talk shop, you can just email me at info@bonzabodies.com and it’ll come right to me. Us small group fitness guys have it tough sometimes – the more we talk to each other the better chance we have of thriving and helping people in ways that other big box gyms can’t dream of. Does Your Body Type Change How You View Exercise? we’ve known for a long time that exercise helps the brain. American Football athletes are sometimes perceived as being ‘dumb jocks’ (not by me, of course), but they have to memorize multiple plays and formations so there has to be some mental capacity there, right? Ask any truly dedicated football athlete (or fan, for that matter) who won that championship what year and they’ll likely be able to tell you who played, what the score was and maybe even a few play highlights. 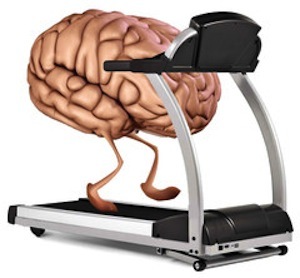 The function of exercise flushes the brain with blood (or fresh nutrients). If we want a brain that works well, then we need a well-rinsed brain. A better working brain gives us better answers and more confidence in using it when it comes to hard questions like math, where you parked the car or what women really mean when they say “would you like to talk about this later over coffee?” (which might actually require shutting off the “other” brain, eh-hem). So how does this tie back to the research? What’s interesting is that the findings suggest that overweight participants found exercise off-putting, partly because they anticipated disliking physical activity more than sitting sedentary. To contrast, the leaner participants had a positive reaction when presented with images of others working out, and they imagined doing the same themselves. And even more interesting was that in the overweight participants, “their bodies were unfamiliar with how to be active, which might have contributed, the study’s authors speculate, to the women’s negative emotional response to activity. They didn’t know how to exercise and anticipated not enjoying trying to learn.” In essence, the brain didn’t want to exercise because they were anticipating a painful experience (the same way I feel before my wife makes me watch ‘The Bachelor’). And as a fitness professional I’ve seen it many times in different forms. Just the other day I was in our Denver studio watching a personal training client slowly lose form and at the same time, his enthusiasm seemed to fall. So naturally, I told him one of my best jokes (note I said ‘best’ jokes, not ‘funny’ jokes). We cleaned up his form, got him in the right headspace and he was on his way again. And as this client’s body becomes more active, he’s becoming happier to see me (without so much as a banana in his pocket!). At least that’s what he tells me. I’m sticking to it. So not only does exercise flush the brain to help us rule trivia night or remember exactly where we left our keys, but the memories of being active actually help us feel compelled to continue to do so and reduces anticipation of not enjoying being active. The ‘fitness’ moral of the story? The more you move, the less you fear it!